My friend Frances is a wonderful artist. 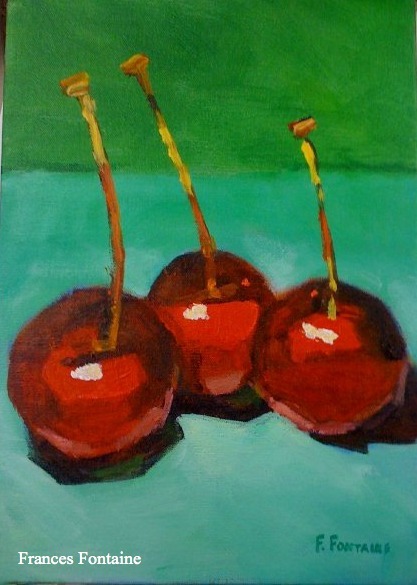 Although she was an elementary school art teacher for years, her passion was painting. Frances finally said good-bye to the classroom and hello to the palette. She's now living in a town on the Gulf of Mexico and painting her heart away. I love the beachy vibe. This painting makes me want to head straight for the beach. I can hardly wait to get it. If you would like to visit Frances's website, go HERE, and tell her that I said hello. Ron - Every time I look at your blog, I think of Frances's artwork. She grew up and has lived in Louisiana for most of her life, so you are kindred spirits! I like Frances' work. Good for her for following her dream. Sarah - You're right; Frances followed her dream and it paid off!